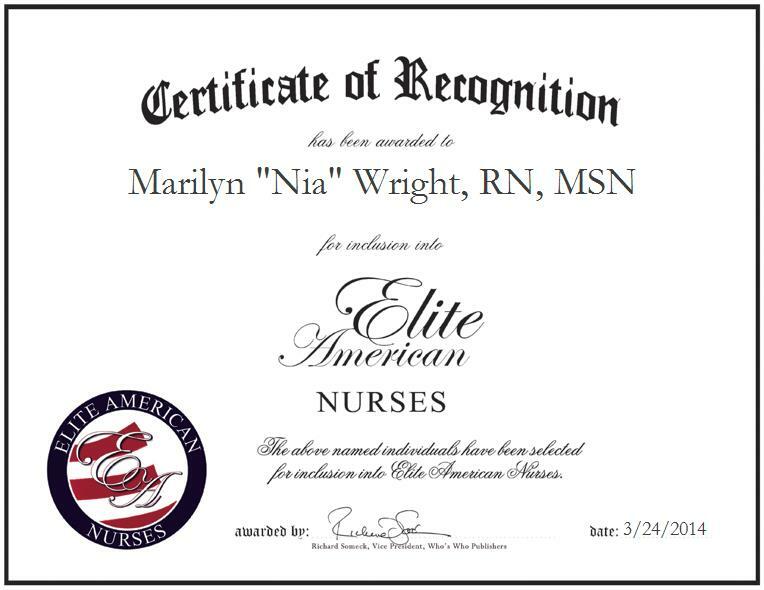 Marilyn “Nia” Wright, RN, MSN is the senior director of surgical services for Anne Arundel Medical Center. Ms. Wright was promoted to her position in 2013 after gaining extensive experience in nursing, as well as in leading and managing teams. An expert in endoscopy management, Ms. Wright is responsible for overseeing nine departments, developing strategic plans, managing budgets and other financial issues, and developing businesses and programs. Ms. Wright is a certified operating room nurse who earned a Master of Science in Nursing through the University of Phoenix, and Bachelor of Science in Nursing and Bachelor of Arts in Psychology at the University of the District of Columbia. Honored with the Nurse Education of the Year award in 2002 by Nursing Spectrum, Ms. Wright attributes her success to her love for her profession, hard work and the excellent mentorship she has received in her career.